WASHINGTON, DC, February 28, 2014 (ENS) – The U.S. Environmental Protection Agency today began a process under the Clean Water Act to identify options that would protect the world’s largest sockeye salmon fishery in Bristol Bay, Alaska from the potentially destructive impacts of the proposed Pebble Mine. During this process, the U.S. Army Corps of Engineers cannot approve a permit for the copper, gold and molybdenum mine proposed by the Canadian company Northern Dynasty Minerals. Other multi-national mining companies that were once partners in the project have dropped out. This Clean Water Act process, requested by EPA Administrator Gina McCarthy, reflects the unique nature of the Bristol Bay watershed as one of the world’s last prolific wild salmon resources and the threat posed by the Pebble deposit, a mine unprecedented in scope and scale. It does not reflect an EPA policy change in mine permitting, the agency said. “Extensive scientific study has given us ample reason to believe that the Pebble Mine would likely have significant and irreversible negative impacts on the Bristol Bay watershed and its abundant salmon fisheries,” said McCarthy. EPA is basing its action on data collected as a part of the agency’s Bristol Bay ecological risk assessment and mine plans submitted by Northern Dynasty to the U.S. Securities and Exchange Commission. The Pebble Project is located 200 miles southwest of Anchorage on state land designated for mineral exploration and development. It is situated in a region of rolling tundra 1,000 feet above sea-level, 65 miles from tidewater on Cook Inlet, which flows into Bristol Bay. On January 15, the EPA released its final Bristol Bay assessment, conducted over a three year period. It found that the Pebble Mine would likely cause irreversible destruction of streams that support salmon and other important fish species, as well as extensive areas of wetlands, ponds and lakes, and would pose risks to the Alaska Native cultures dependent on salmon. 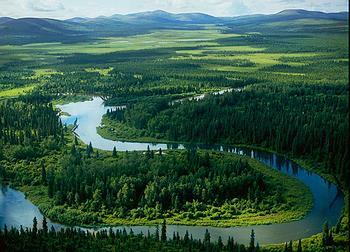 The Bristol Bay watershed is home to 31 native villages. Residents depend on salmon as a major food resource and for their economic livelihood, with nearly all residents participating in subsistence fishing. Today, Dennis McLerran, regional administrator for EPA Region 10, sent letters to the U.S. Army Corps of Engineers, the State of Alaska, and the Pebble Partnership initiating the action under EPA’s Clean Water Act Section 404(c) authorities. “Bristol Bay is an extraordinary natural resource, home to some of the most abundant salmon producing rivers in the world. The area provides millions of dollars in jobs and food resources for Alaska Native villages and commercial fishermen,” McLerran said. “The science EPA reviewed paints a clear picture – large-scale copper mining of the Pebble deposit would likely result in significant and irreversible harm to the salmon and the people and industries that rely on them,” he said. The Bristol Bay ecosystem generates hundreds of millions of dollars in economic activity and provides employment for over 14,000 full and part-time workers, the EPA states. In 2010, several Bristol Bay Alaska Native tribes requested that EPA take action under the Clean Water Act to protect the Bristol Bay watershed and salmon resources from development of the proposed Pebble Mine. 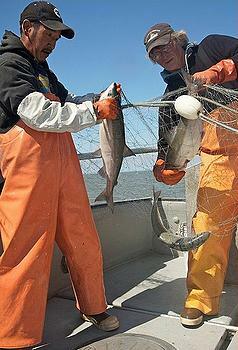 Bristol Bay produces nearly 50 percent of the world’s wild sockeye salmon with runs averaging 37.5 million fish each year. The salmon runs are highly productive due in large part to the exceptional water quality in streams and wetlands, which provide valuable salmon habitat. The Pebble deposit is located at the headwaters of Nushagak and Kvichak rivers, which produce about half of the sockeye salmon in Bristol Bay. 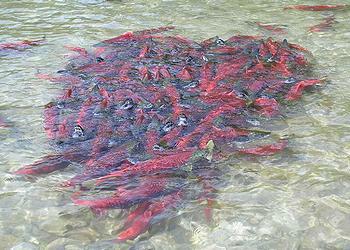 The region supports all five species of Pacific salmon found in North America: sockeye, coho, Chinook, chum, and pink. In addition, it is home to more than 20 other fish species, 190 bird species, and more than 40 terrestrial mammal species, including bears, moose, and caribou. Based on information provided by The Pebble Partnership and Northern Dynasty Minerals, mining the Pebble deposit may involve excavation of a pit up to one mile deep and over 2.5 miles wide – the largest open pit ever constructed in North America. Disposal of mining waste may require construction of three or more massive earthen tailings dams as high as 650 feet. The objective of the Clean Water Act is to restore and maintain the chemical, physical, and biological integrity of the nation’s waters. The act emphasizes protecting uses of the nation’s waterways, including fishing. The Clean Water Act generally requires a permit under Section 404 from the U.S. Army Corps of Engineers before anyone places dredge or fill material into wetlands, lakes and streams. Mining operations typically involve such activities and must obtain Clean Water Act Section 404 permits. Section 404 directs EPA to develop the environmental criteria the Army Corps uses to make permit decisions. It also authorizes EPA to prohibit or restrict fill activities if EPA determines such actions would have unacceptable adverse effects on fishery areas. Environmental and fisheries groups were pleased with the EPA action. “EPA’s announcement is an appropriate and measured step to protect this extraordinary place and we trust the agency will follow the science as it makes its final determination,” said Shoren Brown, executive director of Bristol Bay United, an unprecedented coalition of Alaska Natives, commercial fishing industry members, and sport-fishing interests who are unified in opposition to the proposed Pebble Mine. Consultation period with U.S. Army Corps of Engineers and owners of the site, initiated today. Publication of Proposed Determination, including proposed prohibitions or restrictions on mining the Pebble deposit, in Federal Register for public comment and one or more public hearings. Review of public comments and development of Recommended Determination by EPA regional administrator to assistant administrator for water at EPA headquarters in Washington, DC. Second consultation period with the Army Corps and site owners and development of Final Determination by assistant administrator for water, including any final prohibitions or restrictions on mining the Pebble deposit. Based on input EPA receives during any one of these steps, the agency could decide that further review under Section 404(c) is not necessary.